Heroes wear capes for a reason, so that people will know who to go to in the event of an an emergency. There’d be no point in Superman or Spiderman having their own movies if they weren’t going to pop up in the end and save the day. The groan that echoed around the ground at the 70-minute mark was perhaps the most vocal reaction inspired by this lacklustre game before an audience of 65,000. The Galway minor hurlers, under the guidance of Jeffrey Lynskey, will face Kilkenny in the All-Ireland semi-final on Sunday week (August 6) at Croke Park after a comprehensive 2-19 to 1-12 win over Clare at the redeveloped Páirc Uí Chaoimh. Portumna's Jack Canning, who hit 1-3 in total, notched a 22nd-minute goal set up by a good run by Ben Moran that saw Galway lead 1-7 to 0-7 at the half-time. Galway are through to the senior camogie championship quarter-finals where they will face Tipperary in Semple Stadium on Saturday August 5. In a double header, Dublin, who finished behind Galway in group one, will face group two runners-up Wexford. 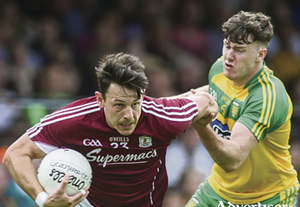 The Galway senior footballers will take on Rory Gallagher's Donegal outfit on Saturday evening in round 4A of the football qualifiers at Markievicz Park at 7pm. The Galway minor hurlers, under the management of Jeffrey Lynskey, will kick off their 2017 championship campaign this Saturday at the redeveloped Páirc Uí Chaoimh when they face Clare at 1pm in the All-Ireland quarter-final. Galway city senior hurling side Liam Mellows had an important 1-16 to 0-14 victory over Cappataggle in a top table clash in their Senior A - Group 1 game last weekend. 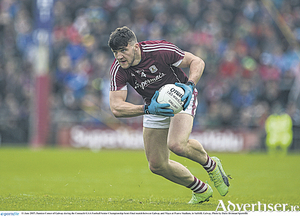 In my final paragraph on these pages last Thursday I said that if Galway were "absolutely focused, and went out and performed to their utmost capabilities, then they should be good enough to beat Roscommon." 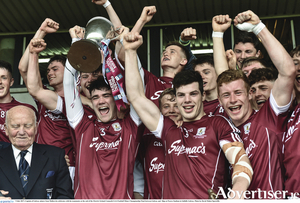 The Galway minor footballers under the management guidance of Stiofáin Seoighe, Damien Tummon, and Jason Tanniane collected what will be the last Connacht minor (U-18) title - as the competition is to be replaced by an U-17 competition from next year. 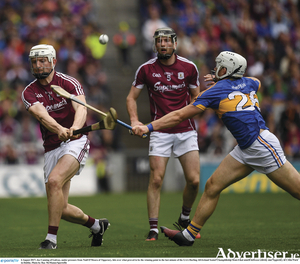 The Galway senior hurlers produced an impressive 70 minutes of hurling on Sunday in Croke Park and did what was needed to annex a second Leinster title for the county, adding to the O'Keeffe Cup won in 2012. Míchéal Donoghue's men produced a strong third quarter and came out after half-time intent on putting the game to bed. 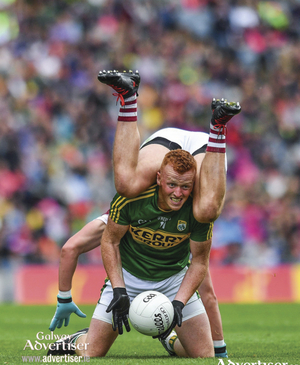 They did so with some powerful displays up front from Conor Cooney, who was immense, Joseph Cooney, with 0-5 from play, and Niall Burke, who won a few important puck-outs and hit two good scores. A storming first-half display saw Galway claim their fifth Connacht Ladies Senior Football Championship title in six years in MacHale Park, Castlebar, on Sunday. Led by centre-half forward Tracey Leonard, who finished with nine points, they saw off Mayo’s challenge with a composed and confident performance, winning 3-12 to 1-8. 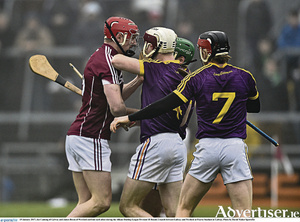 The Galway senior hurlers will be hoping to win a second Leinster hurling title this Sunday when they take on Wexford in Croke Park (4pm). 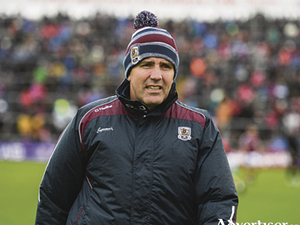 Galway hurling manager Michéal Donoghue remains focusing solely on the upcoming provincial final despite the external chatter about Galway hurlers being warm favourites to claim a first All-Ireland title since 1988. Galway hurlers return to Boston to take on Dublin in the AIG Fenway Hurling Classic and Irish Festival at Fenway Park on November 19. 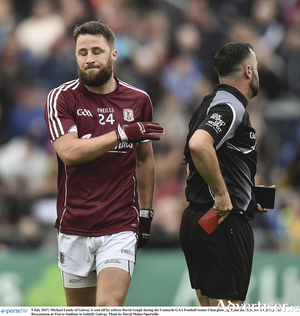 Galway full forward Cathal Mannion underwent a scan last Monday on the ankle injury he suffered during the first half of the facile win over Offaly. At the time of going to print, management was still waiting for the full results of all the scans, but it is unlikely to be a long term injury. 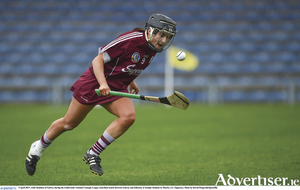 Galway proved convincing winners over Dublin in their opening Liberty Insurance All-Ireland Senior Camogie Championship fixture in Parnell's GAA on Saturday. Galway have won the Bob O'Keefe trophy once, in 2012, with a super display against Kilkenny, and they will be keen to turn that one Leinster title to two on Sunday week against Wexford. 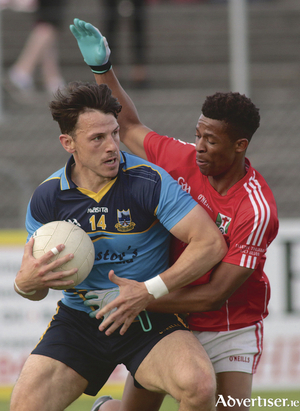 Current county champions Corofin eased into the preliminary quarter-finals of the senior football championship once again after a underwhelming, yet highly effective display against Maigh Cuilinn, in Pearse Stadium, winning by 2-17 to 0-11.